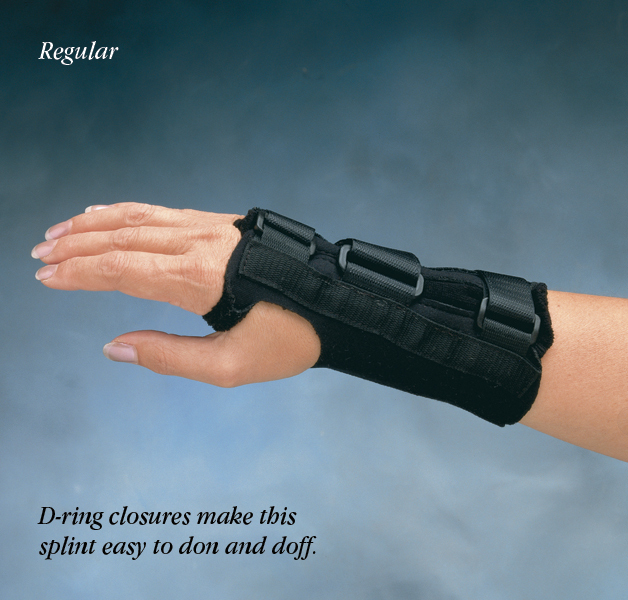 Limit wrist flexion with this lightweight neoprene support. Comfort Cool® D-Ring Wrist Orthosis is made of 1/16" (1.6mm) perforated neoprene and lined with terry cloth. 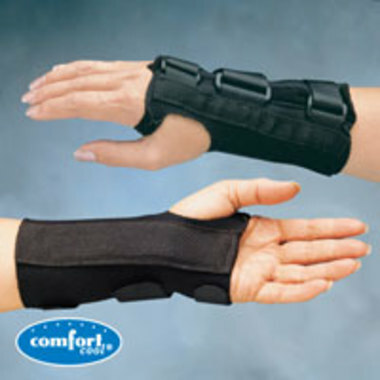 Provides excellent support without excessive bulk or warmth. 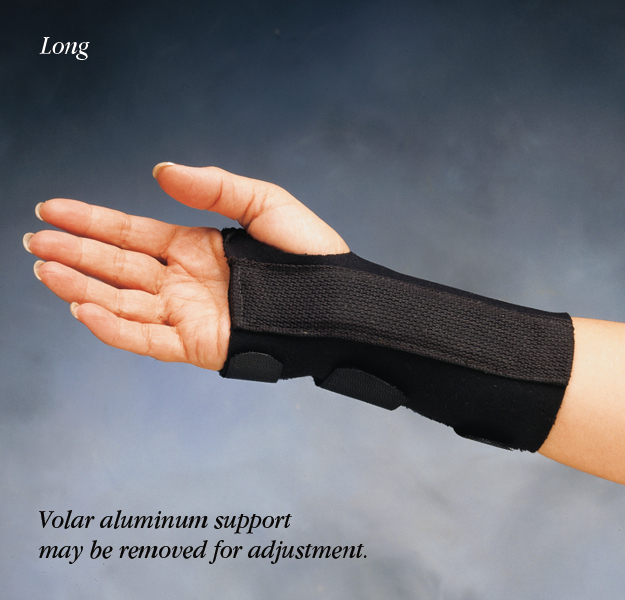 Aluminum volar stay is pre-bent for 15° wrist extension and can be removed for fitting adjustments. 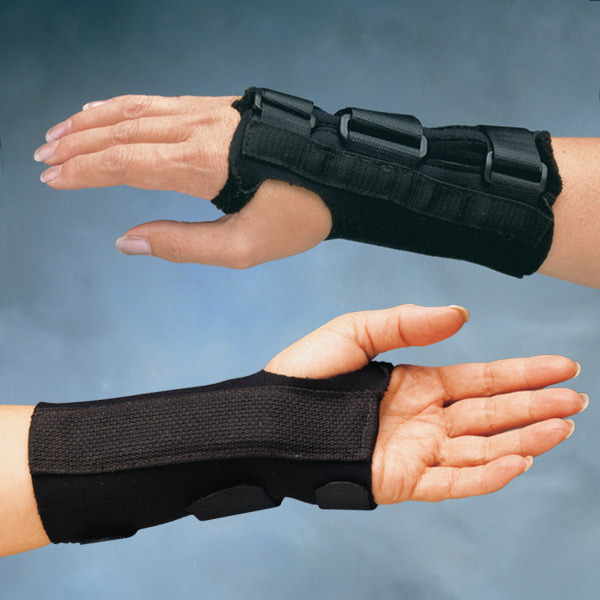 Stay limits wrist flexion, yet allows full dexterity of the fingers and thumb. 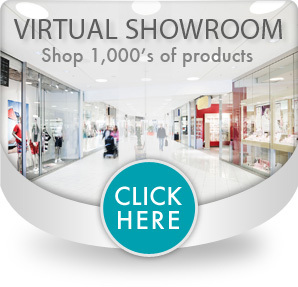 Available in two lengths: Short 7" and Long 9"